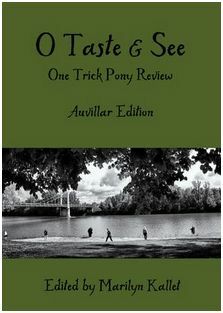 The very first special issue of One Trick Pony Review is now available for your perusal. Edited by Marilyn Kallet, it features remarkable work inspired by her Auvillar, France, workshop participants. Download O Taste & See or view at issuu.